Since the beginning in 1891, Scania has built and delivered more than 1,500,000 engines for trucks, buses, industrial, and marine applications worldwide. Scania’s Industrial Tier 4i and Tier 4F global engine platforms are available in 9L, 13L, and 16L configurations ranging from 275-770 HP. Scania uses a SCR and XPI high pressure common rail fuel injection system to meet Tier 4i and Tier 4F emission regulations and continue to be based on Scania’s modular concept using shared components and systems allowing for easy servicing for a single technician worldwide. 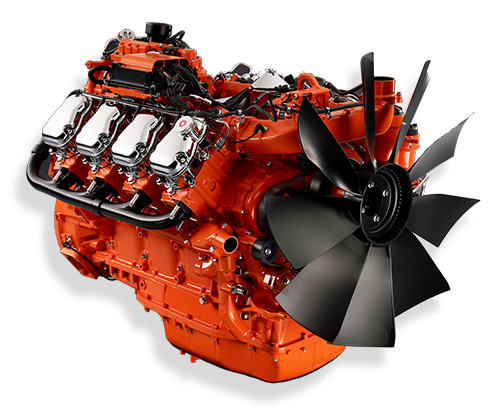 Scania industrial engines can be used for construction, agricultural, stationary, defense, and material handling applications.